​Nomination and proxy forms to be uploaded soon. Results from the Billfish Bash are coming. Results from the Heavy Tackle Tournament is here. Results from the Tantabiddi Camp out is here. Results from the Ladies Day Tournament are here. Results from the Masters Tournament is here. Results from the Annual Awards night is here. There were some recent sat tags deployed off Exmouth. Results to date are below. Further details to come. Have you seen our EGFC Facebook page? Have you seen our GAMEX Facebook page? Like them both now to keep up to date. Got some ideas for us or this site? Email us now to help us help you. 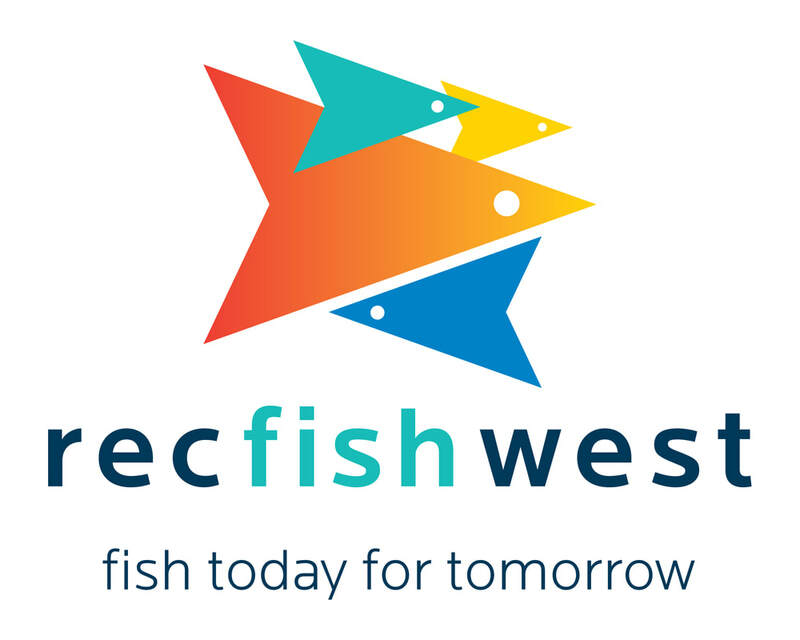 Recfishwest is a proud supporter of EGFC. Please support them in return as they are our voice in WA for recreational fishing. BIG NEWS!!!!!!!!!!!!!!!!!!!!!!!!!!!!!!!!!!!!!!!!!!!! From Jan 1st 2018. 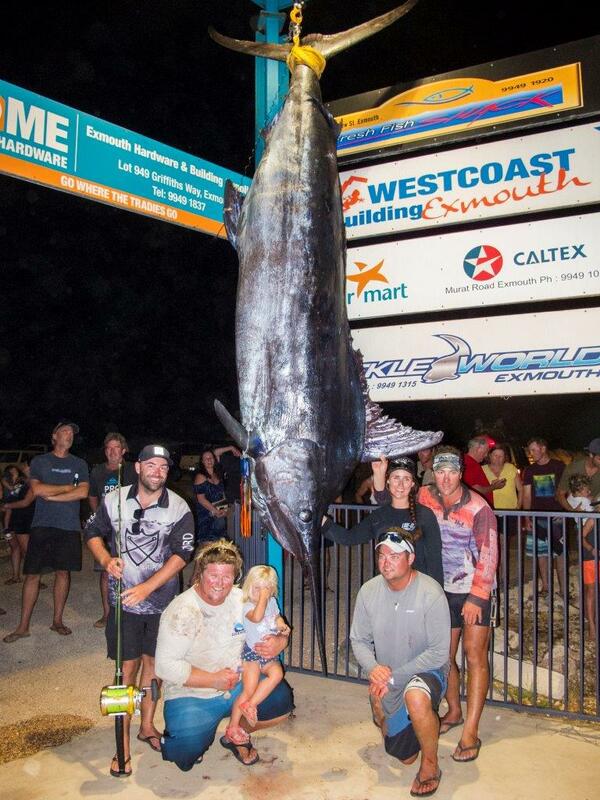 First 1000lb+ blue marlin caught in Australia to GFAA rules. History was made on Jan 1st 2018 with Captain Eddy Lawler from Peak Sportfishing! Special thanks to all the volunteers that helped out at the EGFC on the night of weighing. In particular, Mark Hourn, Anna Passsmore, Maarit Mossman, Scott Owens, Deb Foster and Matt Gates. Special thanks to Phil from Exmouth Freight and Logistics for helping with the crane! Eddy has tagged over 1000 (1180 to Jan 1st, 2018) billfish with The Billfish Foundation and many hundreds of billfish with NSW fisheries over the few years he has been fishing in Exmouth. Eddy has had a few recaptures recently as well, (2 in one week in December) which is fantastic to see. Last week Eddy and others satellite tagged fish too. In fact, the EGFC were one of the first clubs to participate in the IGFA's Great Marlin Race, which involved tagging 10 marlin off Exmouth in 2012. All the details of where those fish went can be found on the IGFA website. Exmouth Game Fishing Club has won top tagging club in Australia more than once, which is a great effort in this remote location. From this capture, we will gain more information on these species and we believe in highlighting the positives of recreational fishing to help others learn, respect and appreciate the ocean and fish within it. This fish will be used for years to come. Thanks everyone for your great feedback on Facebook. We hope that those people who were not aware of the work we do for the conservation of billfish, have learnt so much more. Nemo's Cafe and the Sandbar are open every week. See here for the menu and further details. Read our weekly fishing report to get the full story on the latest catches. Subscribe to regular updates on happenings at EGFC.